I made granola once, rather unsuccessfully, as it was too crumbly. 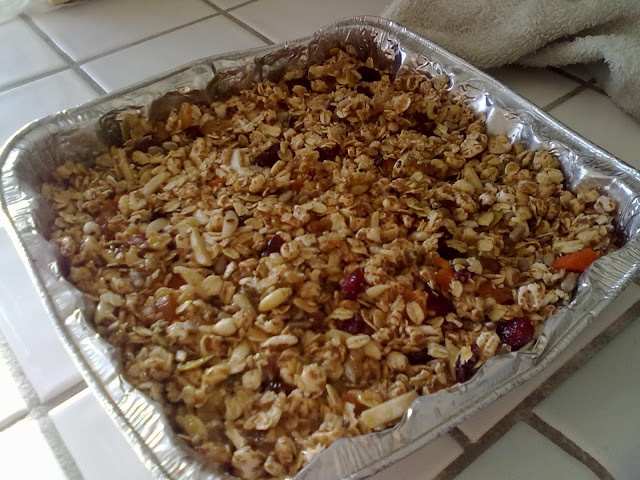 So on my second granola-ish attempt, I decided that bars were easier and required less baking. Cut up, wrapped, and became a work-time snack! I liked this bar, as it wasn't too sweet, but it was pretty crumbly in some parts because it seems like the "goop" that held it together hardened and became inflexible, unlike honey or other goo in granola. Maybe the preemptive refrigeration caused this, but I can't imagine it. But now that I know how to do this, I will alter the recipe and make my own (and for my possible future children?). How very industrious of you! I allow Quaker to make my granola bars. 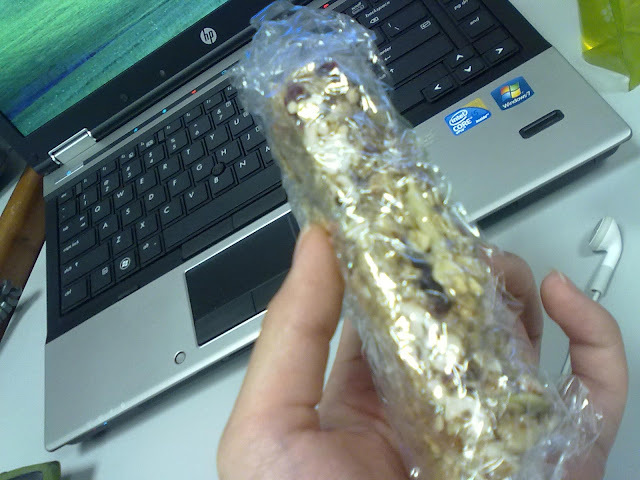 I looove homemade granola bars! Much cheaper and better for you than the storebought stuff and you can put whatever you want in them. Yum!